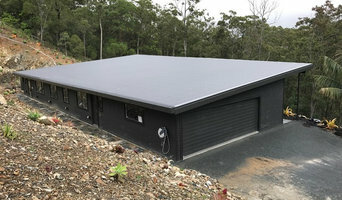 MyCladders is a Licensed Building company that specialises in Colorbond roofing and Cladding for prestige homes. Started in Brisbane, MyCladders is fast becoming the preferred option for projects that build for quality and not minimal cost. 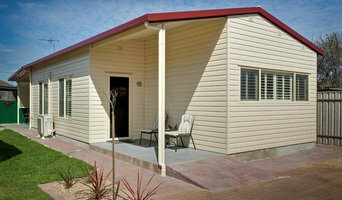 Abbey Thermalboards are the house cladding Brisbane based specialists, servicing Queensland and northern NSW. Stop painting FOREVER and insulate and protect your home with professional, quality vinyl and aluminium cladding solutions from Abbey. With over 35 years experience, 30,000 jobs completed and thousands of satisfied customers, we are the experts in transforming your house or business with superior cladding options that suit your needs and budget. Get the most out of your property and revitalise it with Abbey Thermalboards. With a large section of colours and a 50 year warranty on our work you can trust us to be the best cladding supplier and installers across Australia's East Coast. 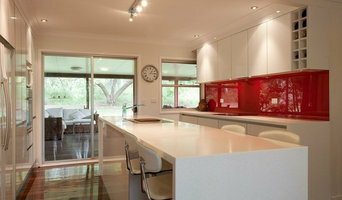 We create custom made solid surface Kitchen and vanities bench tops, wall cladding,shop counters and much more. Claypave is an Australian company privately owned and operated by a small group of "hands on" people. We specialise in the manufacture of clay bricks and pavers. We are the market leaders in quality, service and innovation. Our extensive product range includes Domestic and Commercial Pavers and Bricks, Long Format Bricks, Large Format Pavers, Refractory Bricks and Accessories. The original company, Rylance Collieries and Brickworks began operation in the 1880's with our current refractories plant being built at Dinmore near Ipswich in the 1930's. The current owners took over manufacturing operations in 1985. Claypave is 100% Australian Owned and Operated. Exterior cladding doesn’t just affect the look of your home. It’s other primary role is to protect your home from the effects of weather and water run-off. Other features can include sound and thermal insulation; even fire resistance. There are many ways to use cladding inside and outside the home – some of which include a feature wall, fireplace mantel or on a retaining wall. With an array of cladding systems available on the market, choosing the right one for your desired style, environment and the condition of your Nundah, Queensland home is crucial. Speak to an exterior and cladding contractor for advice on what will work best for you. Some exterior contractors in Nundah, Queensland can provide you with planning tools that allow you to see before and after images of your house. Engage with a professional to see what their services offer. They may also need to work with other contractors to adjust framing or roofing to suit your desired exterior. Here are some related professionals and vendors to complement the work of cladding & exteriors: Building Project Managers, Architects, Roofing & Gutters, Home Builders, Design & Construction Firms. Find a Nundah, Queensland home exterior contractor on Houzz. Scroll through this page to find professionals in your area. You can narrow your search by selecting your nearest city or postcode. Browse professionals' latest projects or product photos, read reviews and message them directly.